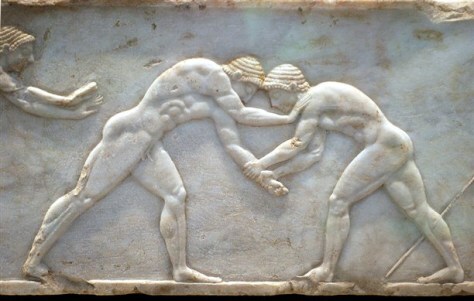 A marble sculpture of ancient Greek wrestlers from 510 B.C. is part of an exhibition at the National Archaeological Museum in Athens. Scholars are discovering that the first Olympics were far from idealized Homeric epics.